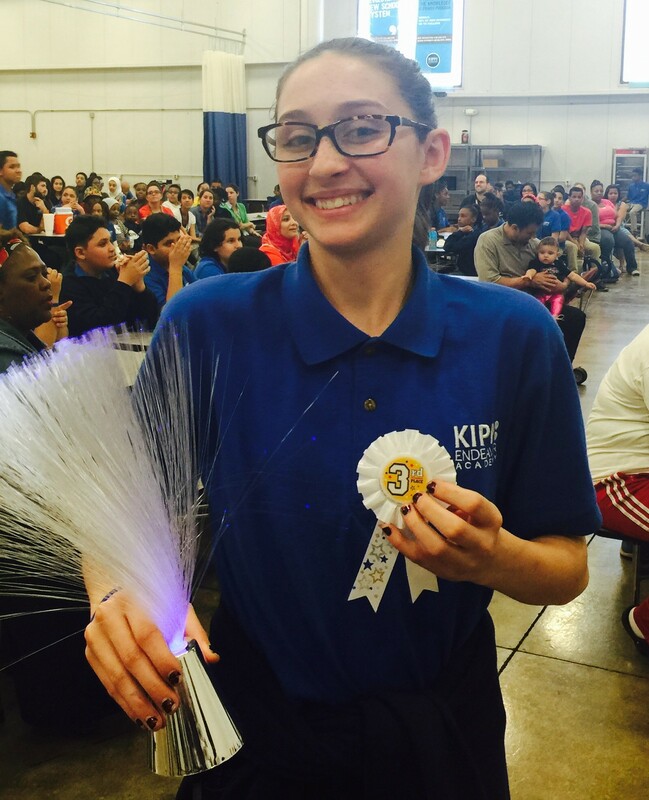 Professor Medina was invited to serve as a judge at this year’s KIPP Endeavor Academy’s Science Fair. He was assigned to judge science projects from the Academy’s 6th Grade Class. “All the projects were great, original, and I had a great time judging and asking both clarifying and probing questions” Medina said. Each participating student produced a poster, but also gave demonstrations. The science projects involved items found in one’s household. “The winning project in my class was an ultra-light CD hovercraft powered by a balloon in the process of being deflated.” The idea was not merely to build something, but rather to prove or disprove a hypothesis. Measurements, formulation of independent, dependent and controlled variables, data analyses, tables or graphs, sources of errors, potential improvements, and conclusions were required. The winners of the first, second and third places were Tiara Blount, Kaleb Flores, and Adrienne Szilvasy, respectively. “Our 6th graders absolutely loved having Professor Medina as a judge and it really made the event feel special!” Said Haley Bowman, Director of Advocacy & Community Engagement. KIPP Endeavor Academy is a network of free, open-enrollment, college-preparatory charter schools with a track record of preparing students in underserved communities for success in college and in life. 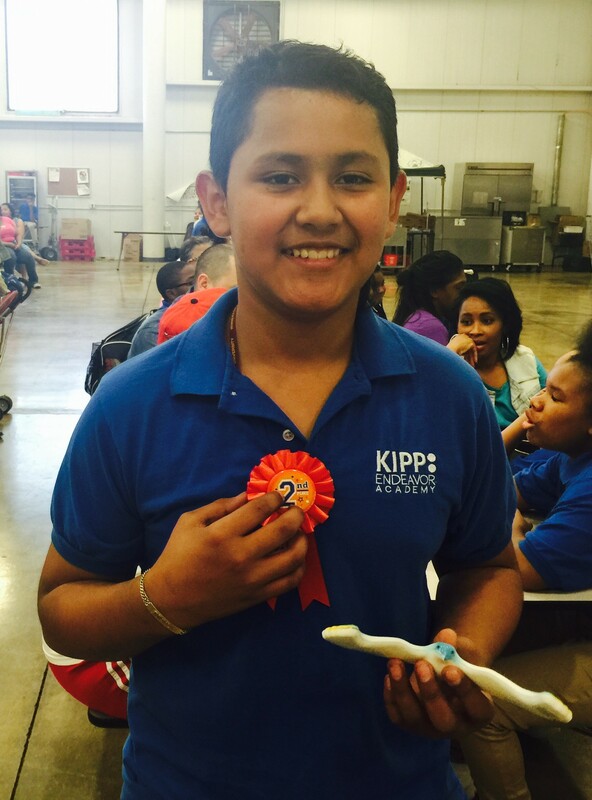 KIPP alumni are graduating college at rates that exceed the national average across all income groups and at more than four times the rate of the average student from a low-income community. KIPP Endeavor Academy is a 5th through 8th grade middle school located near the historic Jazz district in Kansas City. The Academy is expected to serve 290 students during the 2015-16 school year. 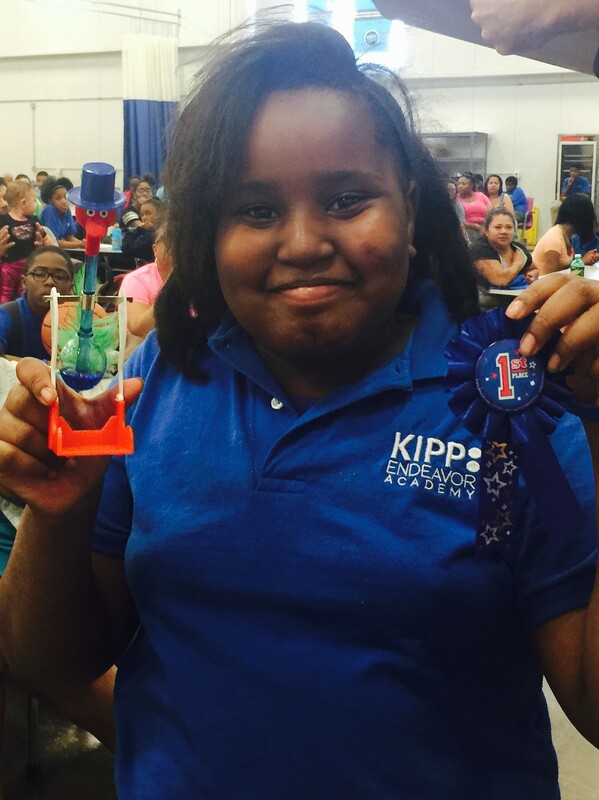 KIPP’s belief is that longer school days, innovative teaching, and a motivating learning environment help prepare KIPPsters for college and the competitive world beyond.